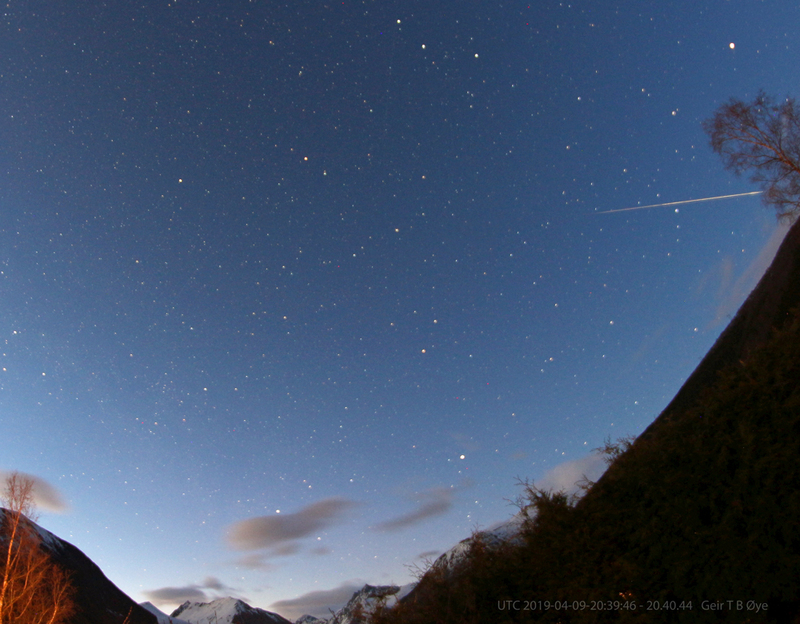 This nice fireball was photographed on March 03, 2019 at about UTC 23.47. 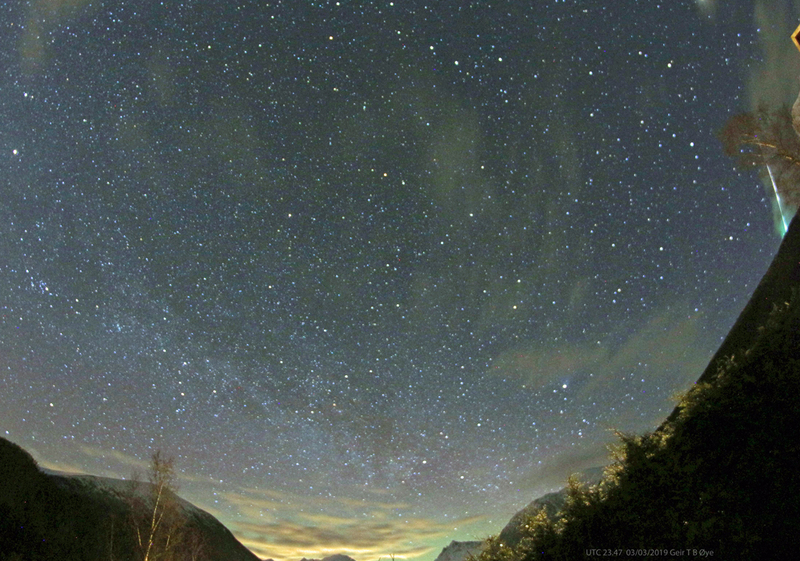 Canon EOS 650D, Samyang 8 mm fisheye-lens. 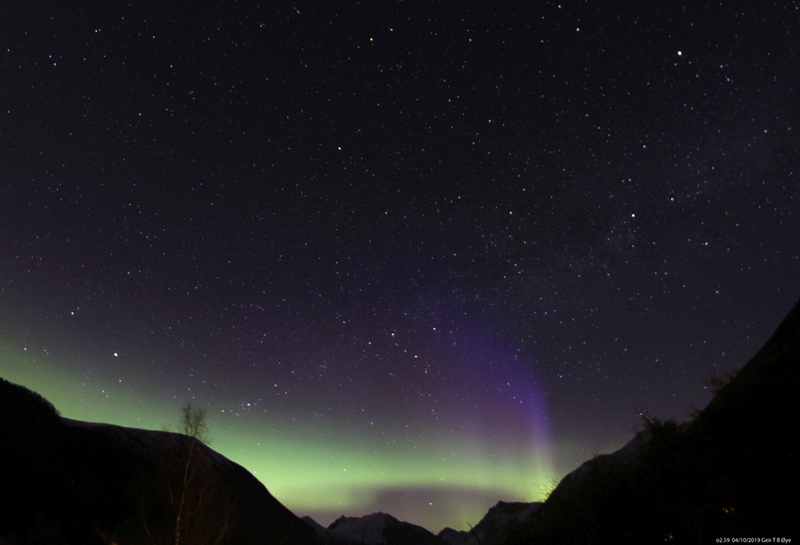 This entry was posted in Astronomy on March 4, 2019 by admgeiroye. 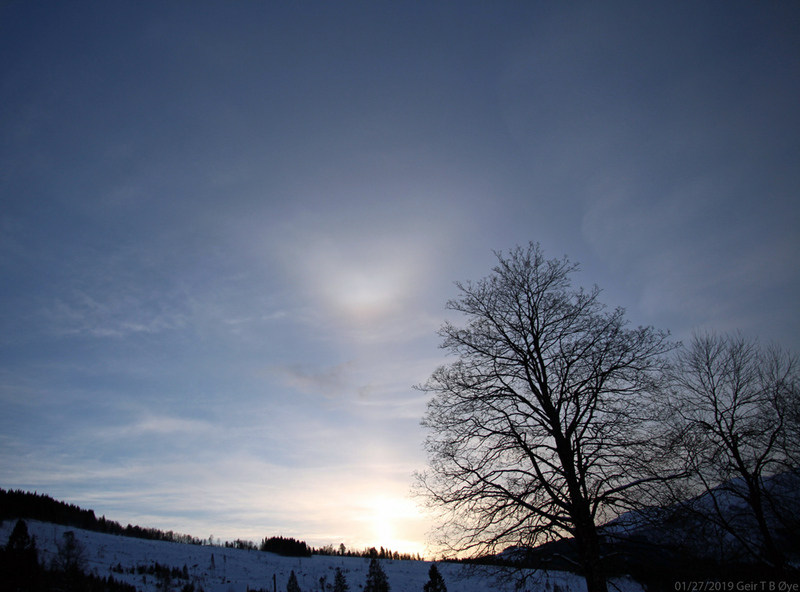 This entry was posted in Astronomy on December 16, 2018 by admgeiroye. 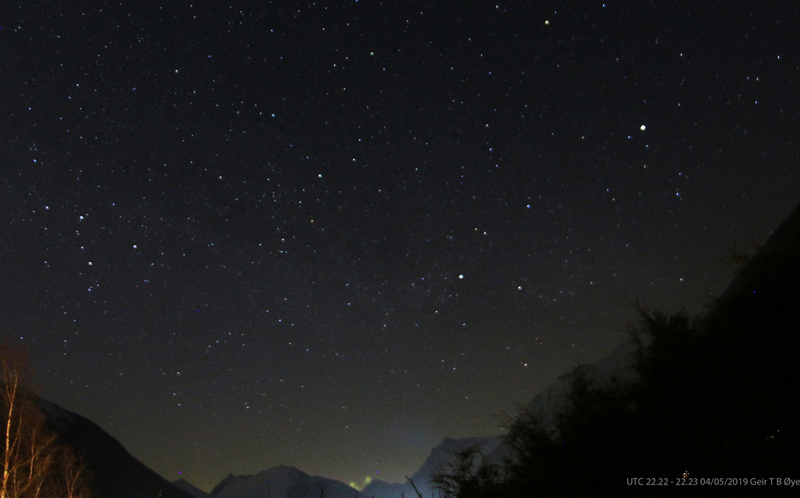 The Hyades, The Pleiades, 46P/Wirtanen above the mountain ridge. 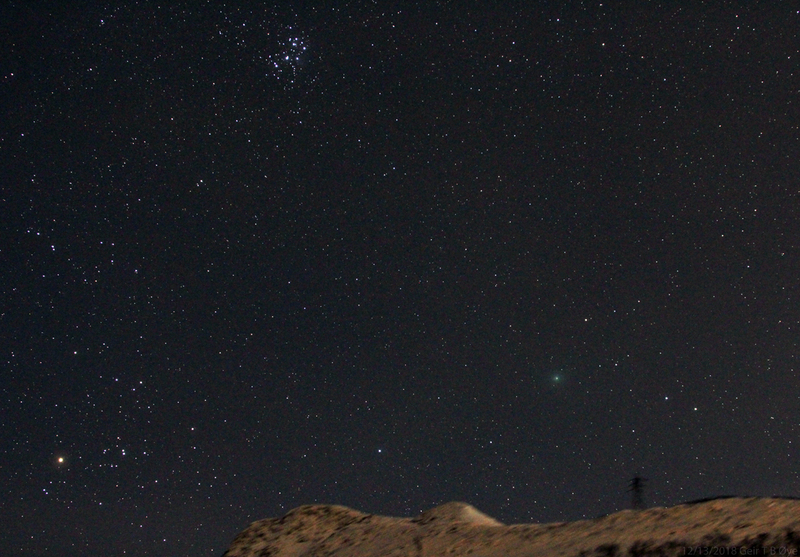 Comet 46P/Wirtanen rising above the mountain ridge. 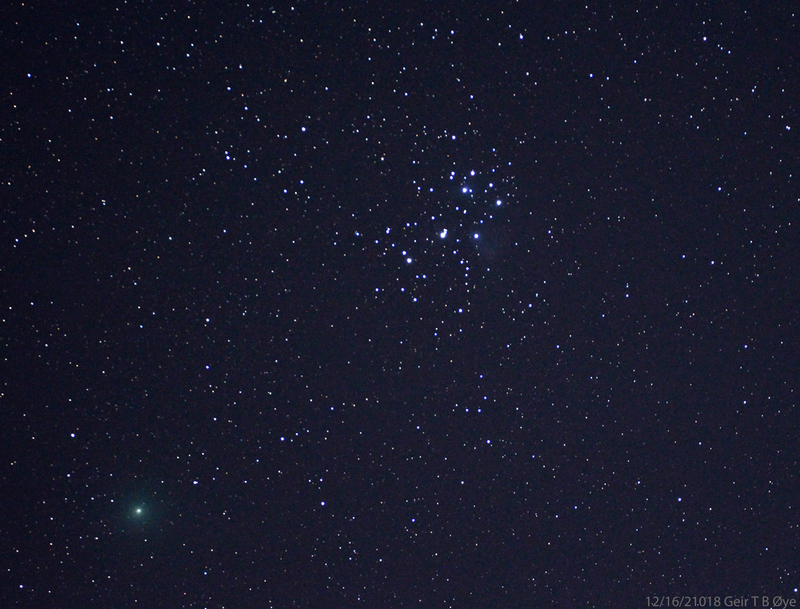 The Hyades to the left, and The Pleaiades above. Sigma 50-500mm lens, Canon 700D, ISO: 3200, Exp: 39 seconds. This entry was posted in Uncategorized on December 13, 2018 by admgeiroye. Comet 46P/Wirtanen and the Pleiades. December 12, 2018. 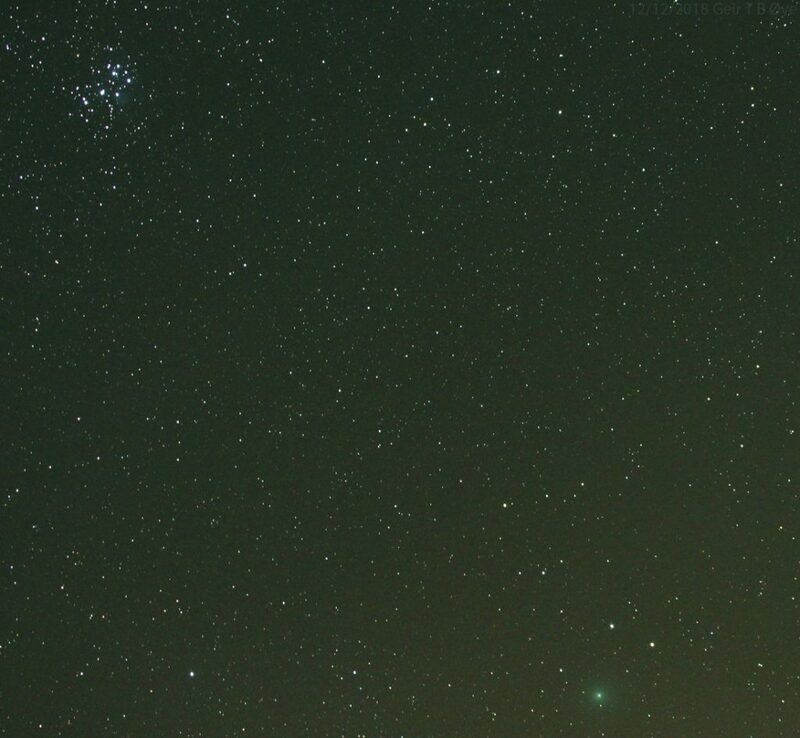 Comet 46P/Wirtanen and the Pleiades. Photographed through a Sigma 50-500mm, Canon 700D, Unitec Swat-200 mount. 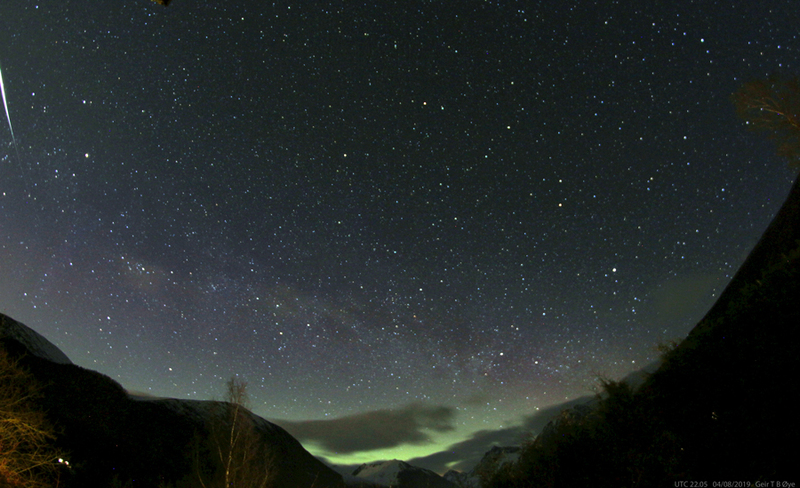 Both images;Iso:3200,exposure: 118 seconds. This entry was posted in Astronomy on December 12, 2018 by admgeiroye. 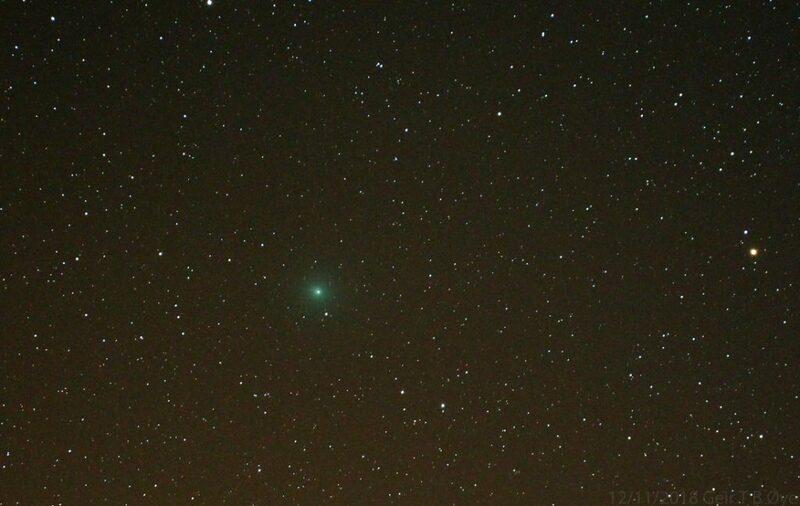 Comet 46p/Wirtanen. December 11, 2018. 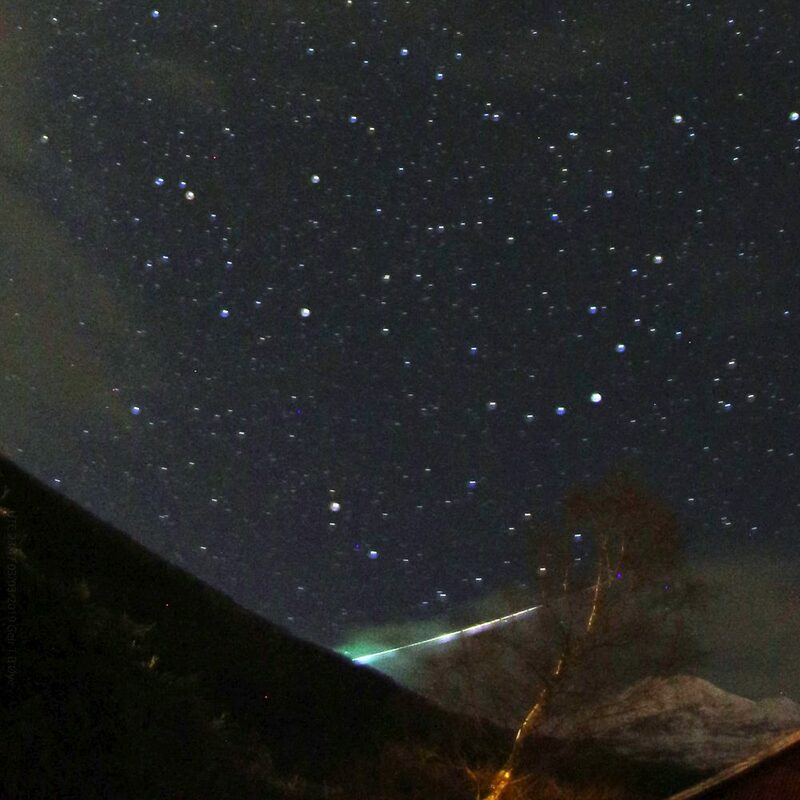 Comet 46P/Wirtanen photographed from Ørsta, Norway. 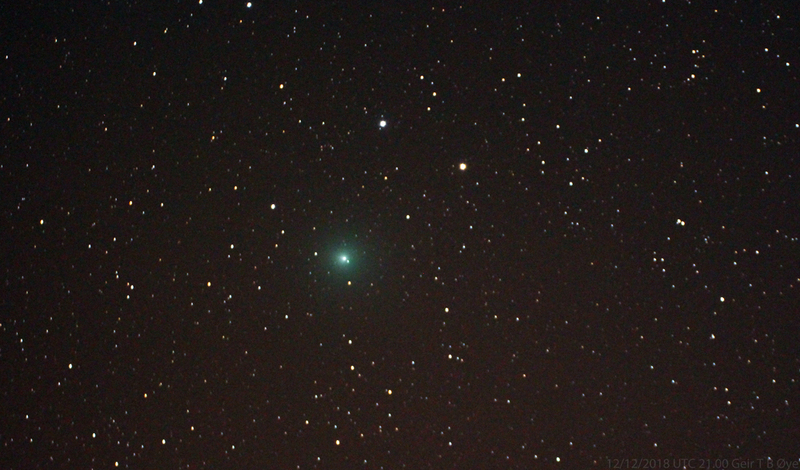 Not so good conditions, but the comet was easily seen through a binocular. Sigma 50-500mm lens, Canon 700D, Unitec Swat 200 mount. Iso: 3200, exp 120 seconds. This entry was posted in Uncategorized on December 11, 2018 by admgeiroye.